NOTE: Directory includes currently active staff, contract personnel, volunteers, work-study students, and credits for for past projects. The Florida Center for Instructional Technology is located in the College of Education, University of South Florida, at Tampa, Florida. FCIT is funded by the Florida Department of Education, school districts, educational foundations, and others to provide professional learning, digital content, and technology integration evaluation services to schools and districts worldwide. The Center is also funded by the USF College of Education to support USF faculty and students at the iTeach Lounge. FCIT’s free resource websites average over two million hits per school day from nearly 200 countries and territories. These sites are specifically designed to support K-12 curriculum with age-appropriate content and no advertising. Our fully-online iTeach Professional Learning courses for teachers and administrators begin each month. The TIM Tools suite of technology integration evaluation tools is a subscription service used by public and private schools, districts, and ministries of education worldwide. The suite includes a perceptions and uses survey, a lesson observation tool, a survey creator, and support for action research in the classroom. Support for USF College of Education students and faculty is provided through the iTeach Lounge in EDU252. Website authors are encouraged to link to FCIT resources. Links may be made to any page within the publication. We provide buttons and banners if you would like to add a graphical link to FCIT resources. Please link only to HTML pages. Do not link directly to image, sound, or multimedia files. FCIT Web content may NOT be mirrored on any publicly accessible server. Address any comments or questions to the Director. You will find additional Terms and Conditions and/or Licensing information on each of our digital content websites. For any use of FCIT digital content beyond what is permitted for a specific site, please address our Permissions Manager. Thank you for visiting Florida Center for Instructional Technology websites. Your privacy is important to us. We want our visitors to understand what information we collect and how it is used. 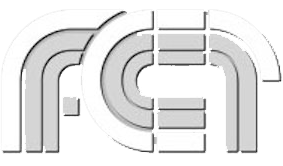 When you visit an FCIT website, our Web servers automatically recognize the Internet domain and IP address from which you accessed that website, and keep track of the types of operating systems, screen resolutions, and other hardware related items that help us make our site more accessible. We may gather aggregate date, time, and pages accessed information to determine overall volume and timing of access to our websites. We do this so that we can improve the content of our websites. Additionally, we utilize Google Analytics on many of our websites to help us better understand and serve our visitors. This gives us information such as what languages our visitor’s browsers are set to or which countries they are visiting from. You may choose to share personal information with us by sending email or submitting forms on certain FCIT websites. Information voluntarily shared with us may be posted to our websites, included in reports to grantors, or otherwise published by the Florida Center for Instructional Technology. If you do not want such personal information collected and shared, please do not submit forms or emails. You must be at least 13 years old to submit forms or send email to FCIT.